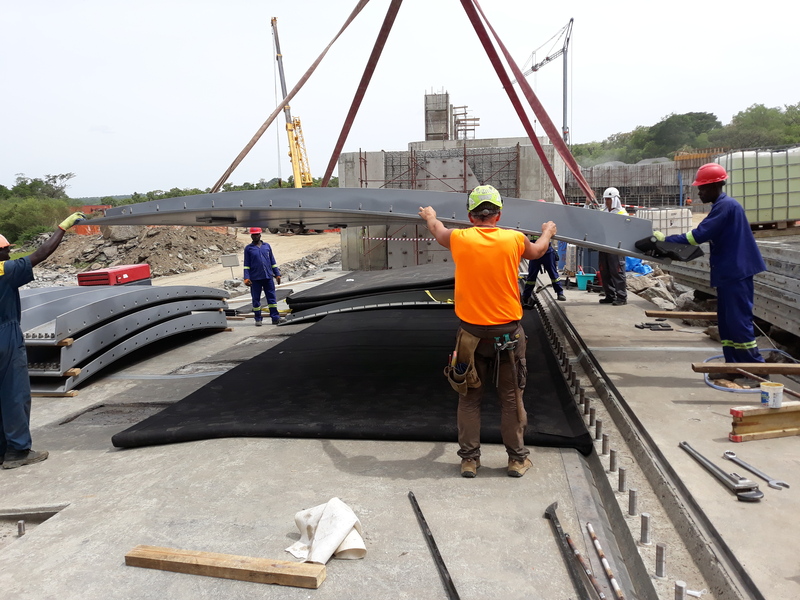 Dyrhoff Ltd is currently supervising the installation of two Obermeyer spillway gates it has supplied as part of the Achwa II hydropower project in Uganda. The Project is located near Gulu in the north of the country and the civil contract is led by PAC Uganda, branch of the Italian construction company PAC Spa. The 42 MW hydropower plant is the first in a cascade of others on the river Achwa. The two spillway gates each measure 3.5m high by 33m wide, and will enable full regulation of the flow, helping optimize power output throughout the year.